Listen to seasoned photojournalists who get right on the fire line and share some pretty amazing work. Feel their adrenalin as they stand next to the guys and gals charged with quelling the beast. Learn what photojournalists and firefighters do to prepare for survival and work in harmony. Cost: FREE to members! Non-members $50. You seriously don’t want to miss this event! 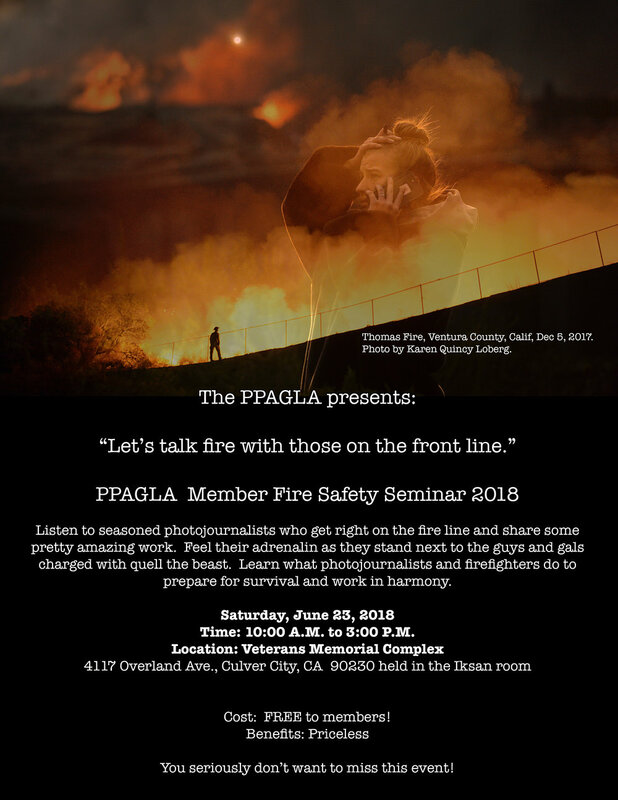 Visit www.ppagla.org/fire for more information and to RSVP.